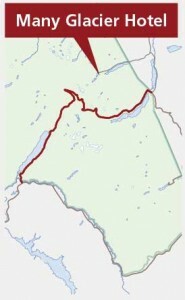 Many Glacier Hotel is located in the “Switzerland of North America,′′ in the northeastern area of Glacier National Park. Outside, awe-inspiring majesty. Inside, a magnificent towering lobby. Partially renovated in 2016, this secluded, five-story hotel contains 2 suites, 7 family rooms and 205 guest rooms offering lakeside, deluxe, standard and value lodging options. 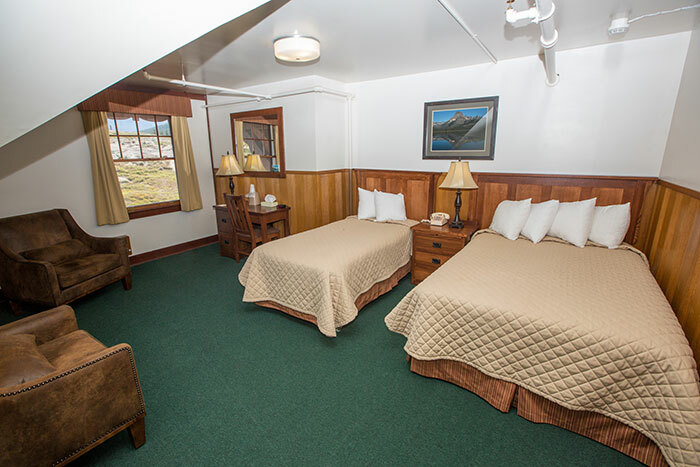 All guest rooms at Many Glacier Hotel are rustic, yet comfortable. 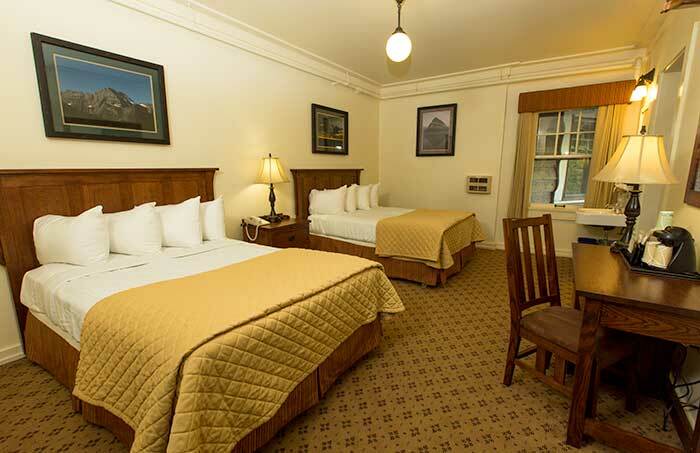 In keeping with the era in which the hotel was built, the rooms offer guests modest amenities and old-world style accommodations. There are no televisions or air conditioning. 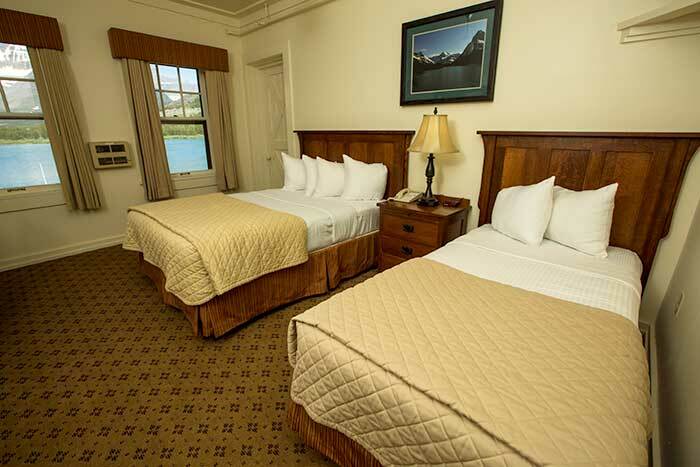 All rooms have private bathrooms, direct dial telephones, deluxe king and queen beds or standard double and/or twin beds. 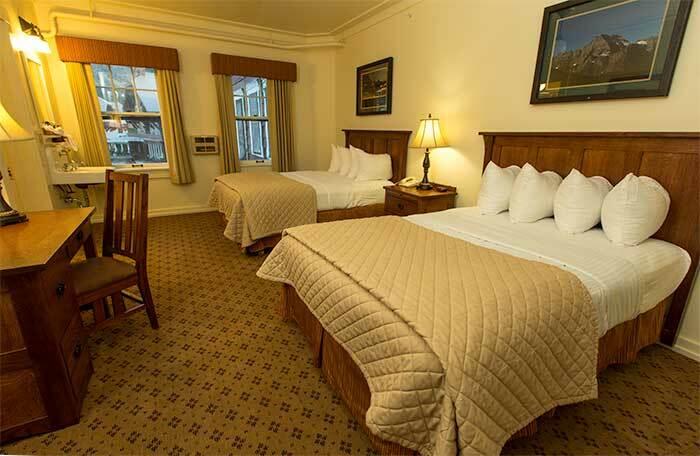 Guest rooms and hotel facilities are all non-smoking. 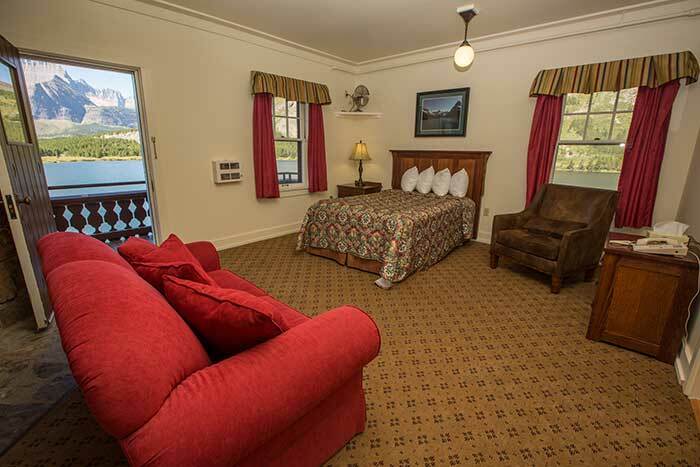 A limited number of ADA-accessible rooms are available and booked based on availability. Only designated guide, service and/or hearing companion animals are allowed in the hotel.